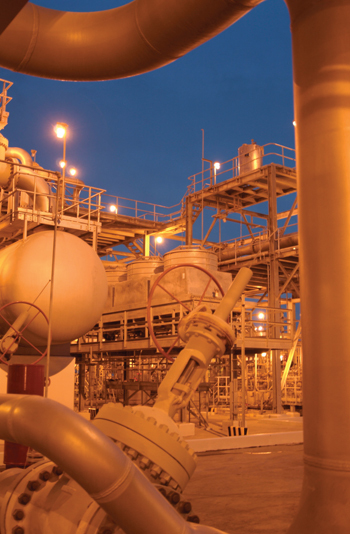 The initiatives include a new LNG project which is to begin shortly and comes as part of the National Oil and Gas Authority (Noga)’s overall aim of using new alternative energy sources – including wind and solar – to meet Bahrain’s demand. 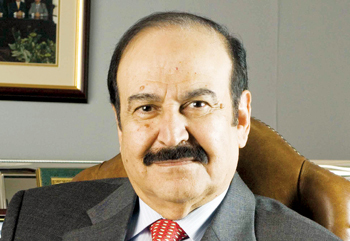 Dr Abdul Hussain Mirza, Bahrain’s Minister of Energy, confirmed that this new LNG installation would have an initial capacity of 400 million cu ft and the option of later being expanded to 800 million cu ft.
Mirza also said he wished to increase the LNG capacity of an existing LNG plant – Bahrain National Gas (Banagas) – by 350 million cu ft. It was also conveyed that Bahrain would start tendering major oil and gas projects worth more than $6 billion over the next few months. Major regional participants at Mepec included Sabic (and affiliates), Saudi Aramco (and JVs), Bapco, Sadara, Petro Rabigh, GPIC, Banagas, Sipchem and Alba amongst others. Dr Mirza said Mepec was the definitive process engineering event that brought together industry professionals to one hub to exchange ideas. Mepec highlights were the Innovation and Commercialisation Zone and the ChemME Student Programme. Another highlight was the Leadership Excellence for Women Awards (Lewa), a celebration of innovation, leadership, achievement and talent as demonstrated by women in the academic and business sectors of the industry. Speakers included Prince Saud K Al Faisal, executive director for investment policy, Saudi Arabian General Investment Authority (Sagia); Abdallah S Jum’ah, former chief executive of Saudi Aramco; Awadh Al Maker, executive VP for technology and innovation at Sabic, and June Wispelwey, executive director, American Institute of Chemical Engineers (AIChE), all of whom featured in a panel on the “Energy Outlook for a Growing World”, moderated by Dr Alaa Nassif, CEO of the Royal Commission at Yanbu, and Dr Dawood Nassif, board director of Bapco, advisor at nogaholding and chairman of the Bapco Modernisation Project steering committee. Dr Matthew Clingerman, EMEA regional engineering manager for DuPont Clean Technologies, provided delegates with up-to-date information on Stratco alkylation and IsoTherming hydroprocessing technologies and their role in producing clean fuels. Antonio Pietri, president and CEO of Aspen Technology, discussed strategic opportunities and best practice for asset optimisation including energy reduction, process safety, advanced process control, data visualisation capabilities and other software innovations that help manufacturers achieve operational excellence. In addition to lauding the work surrounding the Lewa Awards, Shaikh Mohamed also put the spotlight on the AIChE Middle East Regional Chem-E-Car competition that took place in the region for the first time.